"Omg so good. It even tells when to move your drone in order to get ready to build the hatchery." "The interface is effective and clean. exactly what we need." "I like the timer and how it is set to game time. " Was originally made for a friend who was an online pro-Gamer, now refined for public release! -No need to look away from your screen because we know you need focus and any time your eyes are off screen even for a second it can give you a big disadvantage. This app requires you to listen so it will tell you what to do next. Even so the simple interface allows you for quick check if needed. 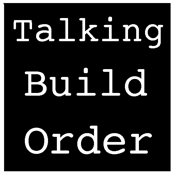 -Build Order listed in a simplified, easy to understand table so you can review all the build orders when required. -A detailed analysis of each build order, so you know what to do, what to transition to and what maps these build orders are good for. -Helpful to use when you have nerves when playing in a tournament. This application makes sure you haven't forgotten anything just because you are nervous. Frequent updates will occur so get this app while it is 50% off as the library grows. + Customisable builds that you can build on your own.